Home » Beacon Premier International Education Pvt. 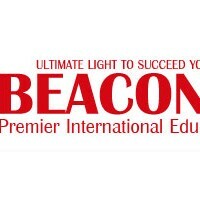 Ltd.
Beacon Premier International Education Pvt. Ltd.
BEACON is the one leading Educational and Immigration Consultancy centrally based in the heart of Pokhara which is the most rapidly growing city among many. Aiming to provide you with the quality services, they have been broadening more and more the inclusive network worldwide. With the persistent hands and vision from years of experienced dedicated BEACON team of professors, instructors & counselors, they are really happy to find you joined together with them in world of opportunities. BEACON is only the name of quality provider with wide range of programs and services in the field of i.e. abroad study, immigration, test preparation and Hotel trainings etc. Having no conciliation in the excellence, BEACON is constantly growing in this most competitive world with its eminence services. Providing you with the initial counseling to getting you enrolled in the world renowned colleges and universities around the globe in your desired course and setting you a best career pathway help you catch your life goal is their prime contentment. And getting all this success is really exigent too. That’s why, BEACON stands registered to the Nepal Government Companies Act 2006 to find and help you all kind of preparation classes needed for this as well as the skilled based practical trainings to enable each of their trainees stand on your own and enlighten the practical success within yourselves besides the abroad study and immigration programs.